Born in 1989, we are a well-established organization involved in the design, construction, commissioning and operation of modern Halal Abattoirs. 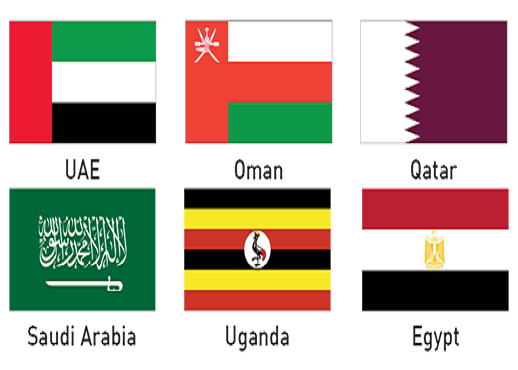 We are known for having set the new standards for Halal slaughtering not only in UAE but also in Qatar, Oman, Saudi Arabia, Egypt and Ethiopia. We have broad capabilities of delivering modern, hygienic and most efficient abattoirs in the region. A sound and solid history of completed projects have earned us a prestigious reputation, name and fame globally. Combining the tremendous wealth of experience with rich international exposure, we have guided several leading local and global companies in this domain on the know-how in regards to Halal slaughtering. We take pride in our strong partnership with well-known international players, based in Germany and all across Europe. Founded by Mr. Gebran Roumie, we aim to transform the industry and expand the horizons of services not only locally but globally. We design, construct and deliver the ultra-modern abattoir worldwide. Being among the largest in our field, we have an excellent track record of developing the most efficient and technologically advanced slaughterhouses. We are embarked on a quest to develop facilities that not only meet the client’s expectation but exceeds them. We develop facilities that are capable of conducting the complete slaughtering process, carcass dressing, meat cutting and further scientifically processing the products and by-products. All the layouts and types of equipment that we install use modern methods and techniques that comply with the highest hygienic practices and international regulations and standards. We pay our prime focus in developing facilities that support all the sustainability issues, such as recycling of solid and liquid waste and possible utilization of producing bio-gas from the process. In addition to this, the products we deliver are eco-friendly and operates on renewable energy sources like solar and wind energy, avoiding all the hassles related to environmental degradation. To embark on a long term strategy that shall meet the client’s aspiration of having a facility that has broad capabilities. To transform the industry by adding the ultra-modern and technologically advanced techniques in it and serve society. The facilities we develop are energy efficient and can operate on power generated by renewable sources such as wind and solar. Our urge to innovate has enabled us to develop extraordinary facilities like Halal Cattle Killing box, Halal Camel Killing trap, Smart Abattoirs and we aspire to bring more such utilities in future. All our utilities are constructed as per the latest standards and guidelines of international authorities such as NADCA, ISSA, EHS, Indoor Air Quality and many more. After revolutionizing the industry in the UAE, we have successfully spread our wings in Ethiopia, Oman, Qatar, Saudi Arabia, Egypt and Ethiopia. Being the most significant player in the market, we have an excellent record of completing the most modern, hygienic and business-driven abattoirs in several countries. Under the guidance and vision of highly qualified and experienced Mr. Gebran Roumie, the brand has left its footprints in most of the European, African and Asian countries. We aspire to amplify our viral spread all across the globe and serve the international community by providing them with the most technologically advanced and innovative abattoirs. What makes us the industrial leaders? We built the most productive and energy-efficient abattoirs after conducting a thorough environmental impact assessment study. All our designs and operation processes strictly adhere to the prevailing environmental laws and cause the least impact on the environment. To facilitate the ease of operation, maintenance and serviceability upon handover to the owner, all our developments have high maintainability and a long term cost optimizing attributes. Our innovation and drive to bring out something new and more advanced has enabled us to develop our own Halal Cattle Killing box which can handle cattle weight from 120 kilos to 1500 kilo. In addition to this, we have also developed our own Halal Camel Killing trap in the Middle East. Our latest innovation in the domain of Modern Abattoirs is the “Smart Abattoir”, which utilizes the utmost advanced technologies related to rail construction as well as the highest standards of hygiene which meets and surpasses International norms. All our facilities are constructed in compliance with the guidelines and standards of international certifying authorities including NADCA, ISSA, EHS and Indoor Air Quality Association. By providing excellent facilities for decades, we were rewarded by customized certification and verification by globally operating Bureau Veritas. With the years of experience and strong background, we have delivered a number of facilities to several government entities and renowned private individuals. We are the leading and well-established organization that deals with design, construction, commission and operation of modern Halal Abattoirs. We combine innovation with advanced technologies and deliver the ultra-modern abattoirs to several government entities and private individuals. We are known worldwide for extending and expanding the horizons of halal slaughtering. © 2019 Leo Best. All Rights Reserved.